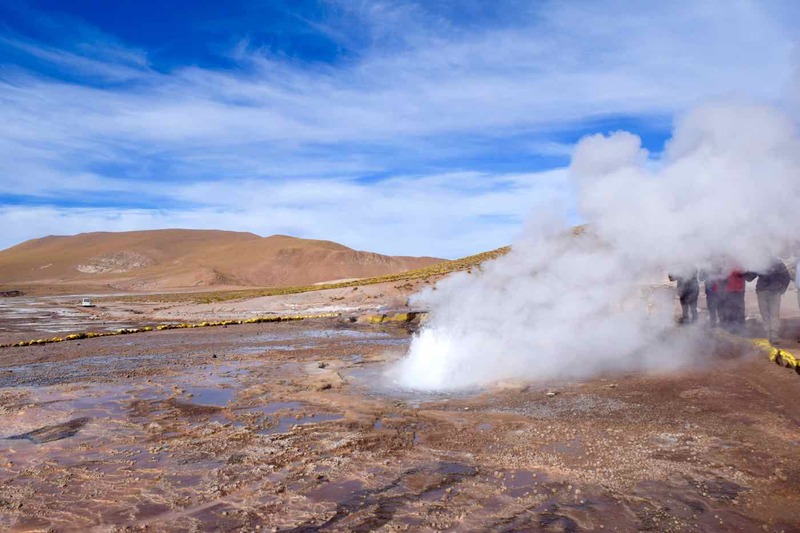 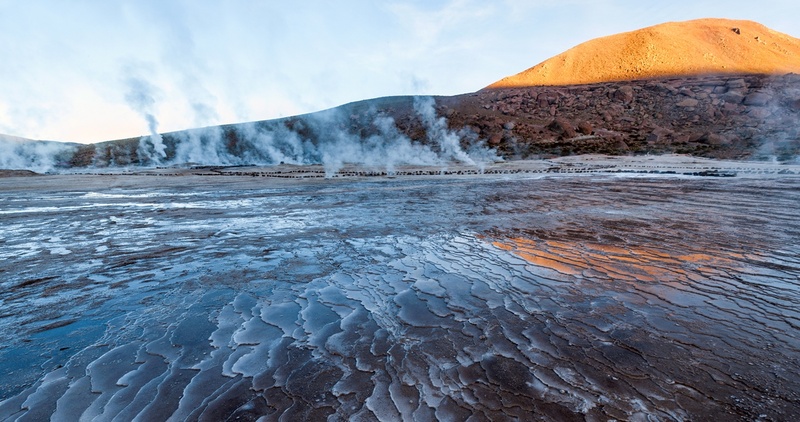 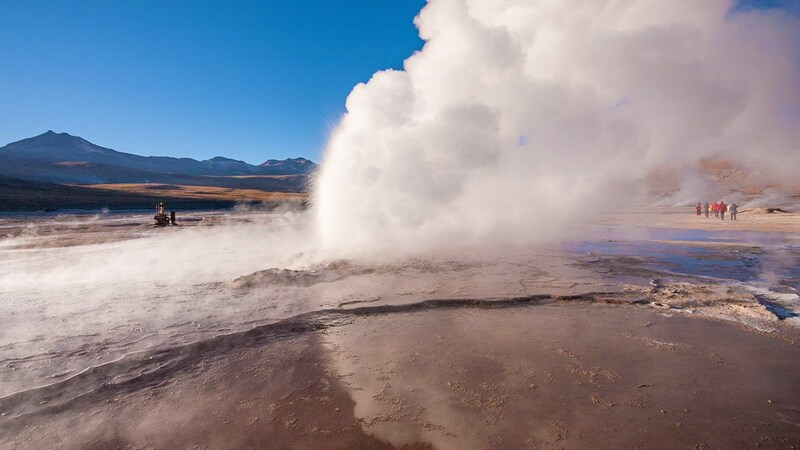 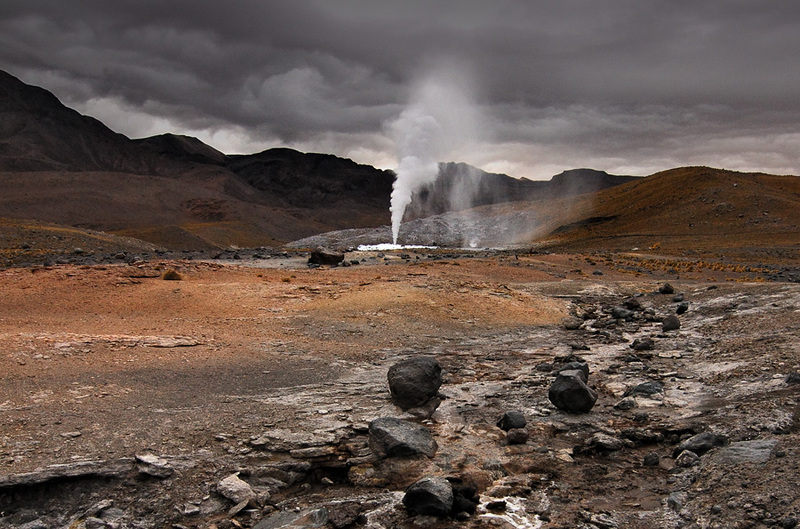 The South American country of Chile holds many attractions for travellers, from the UNESCO World Heritage Site Valparaiso to the islands of Chiloe. 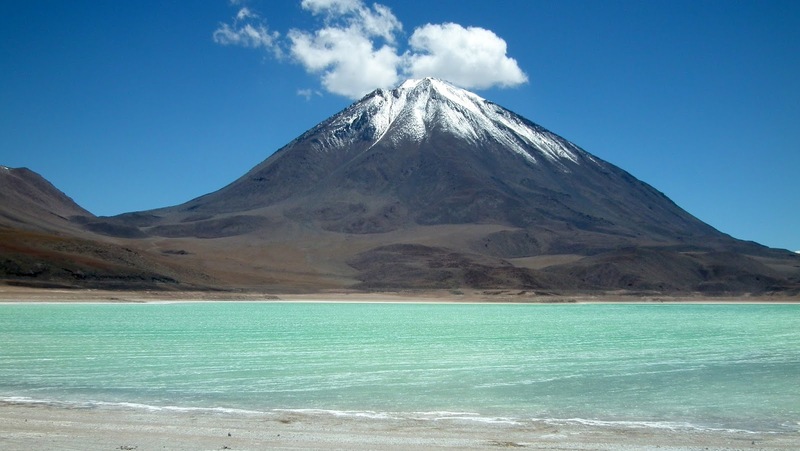 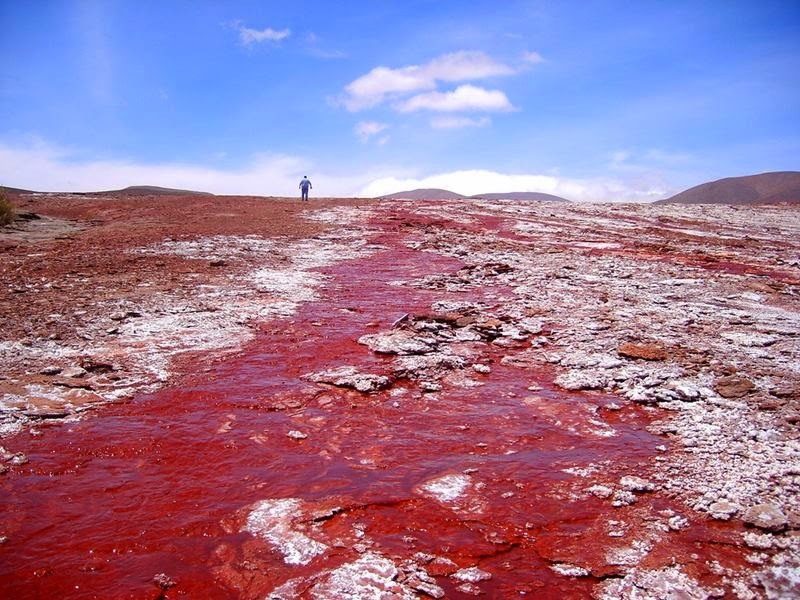 However, its most striking and least known is the Red Lagoon in the northern area of Camina. So in Northern Chile the town of Camina, lies a strange Red Lagoon, 147 km from the city of Iquique, approximately 3,700 meters above sea level. The water of the lagoon is so strong red that it seems like blood or ink. 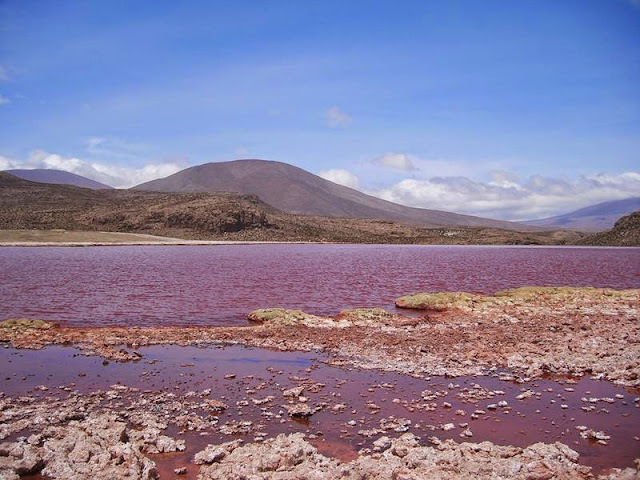 The lake was though familiar to locals, but unfamiliar for others, even to the National Service of Tourism until 2009, though several miles downstream lies the Caritaya Reservoir. 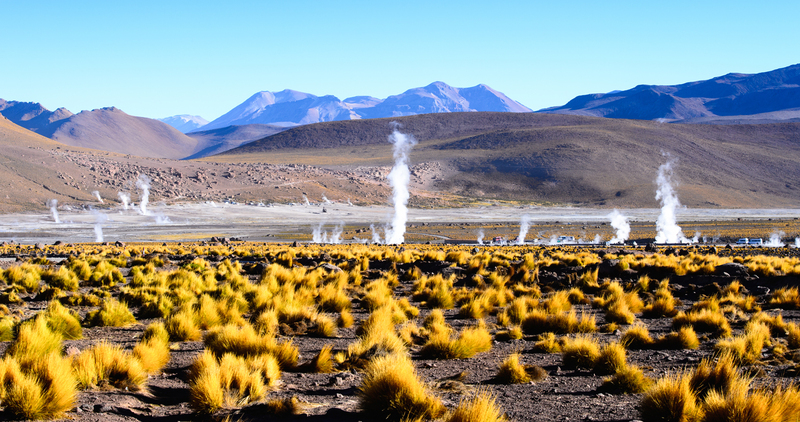 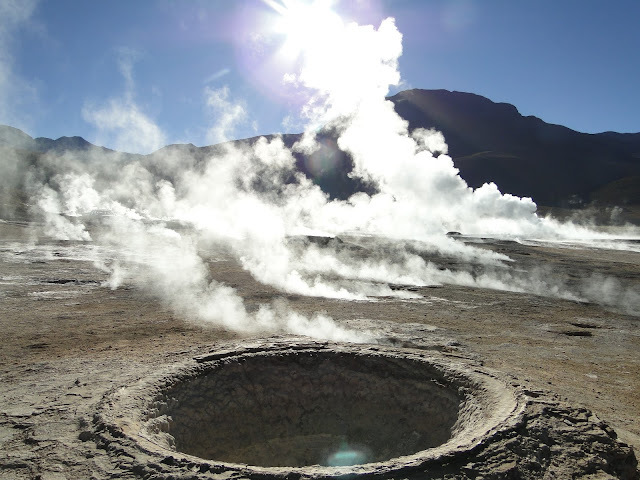 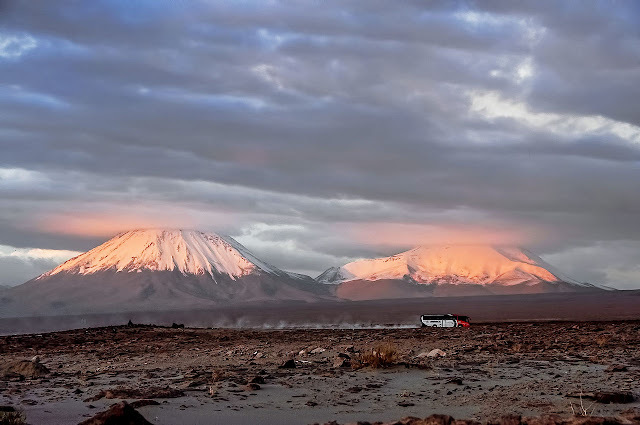 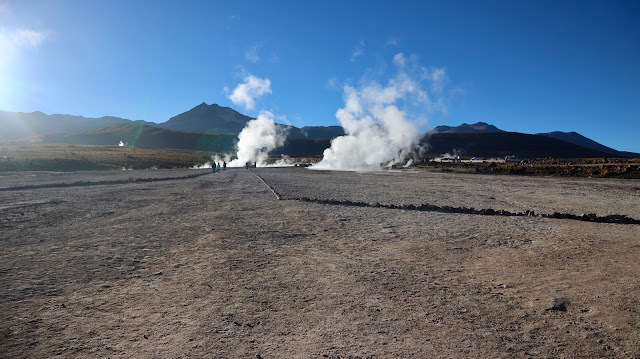 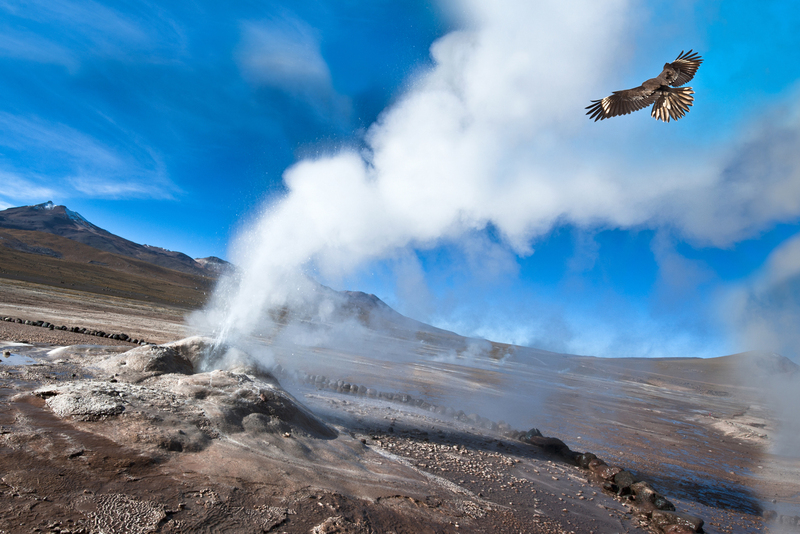 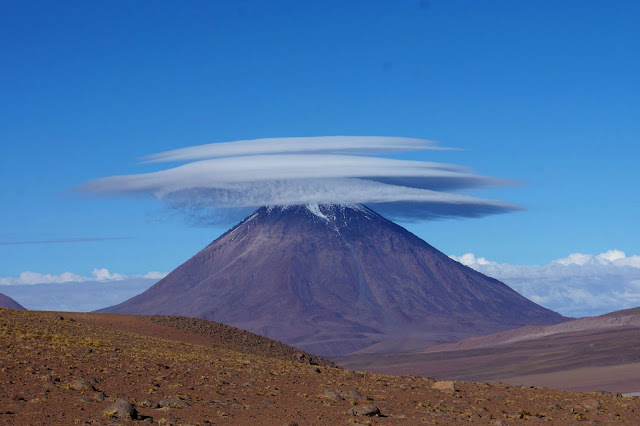 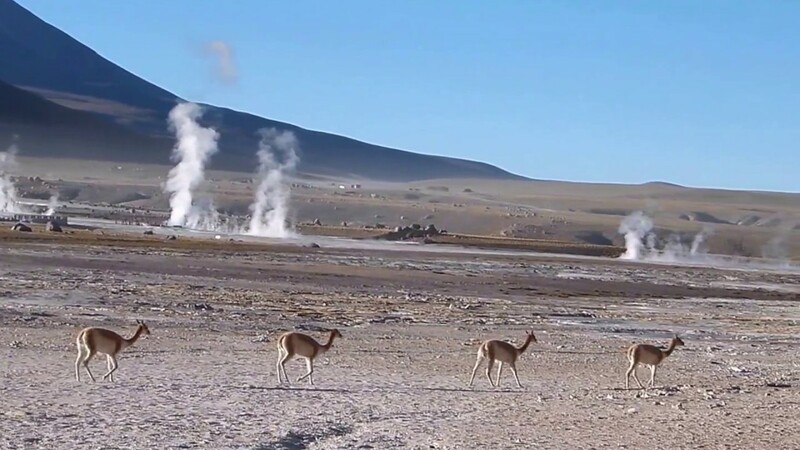 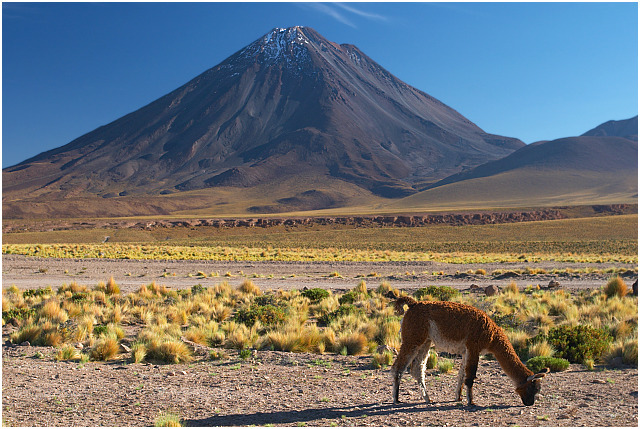 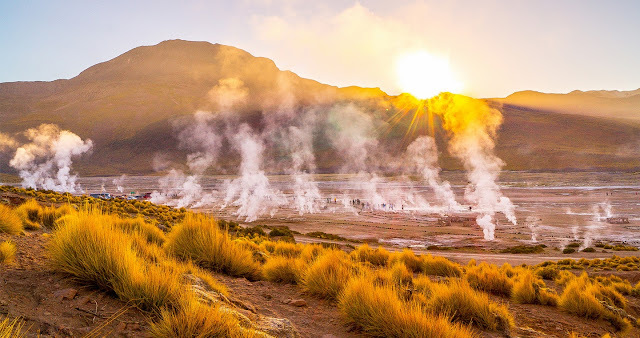 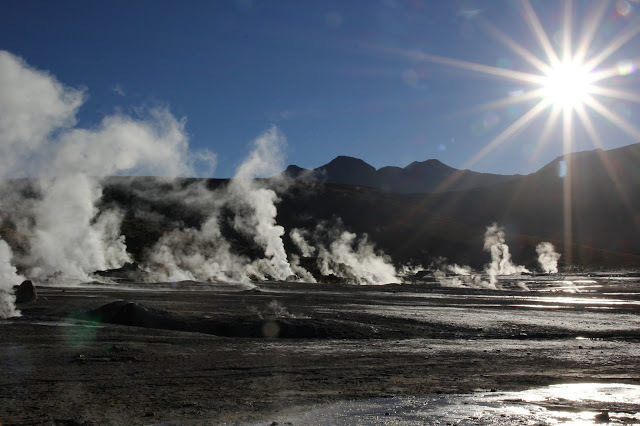 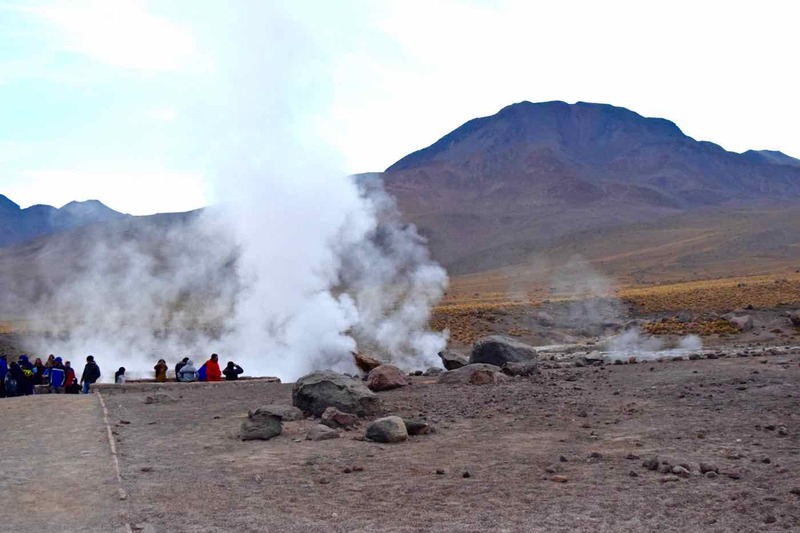 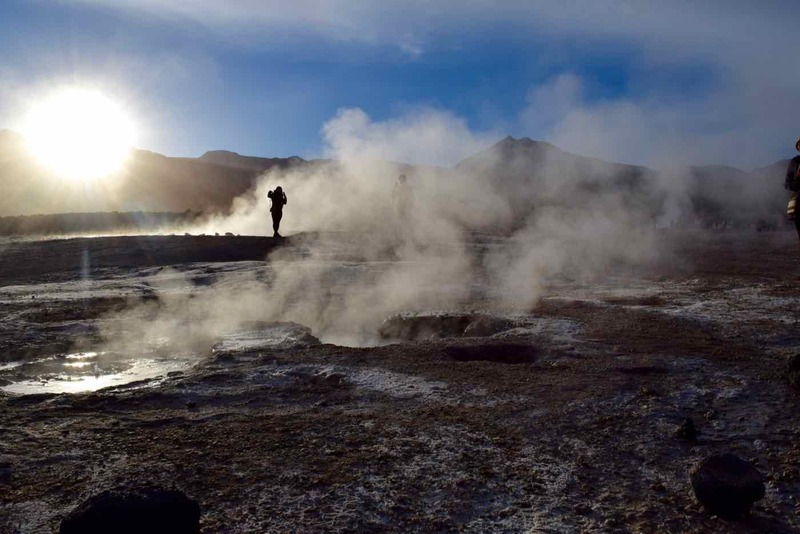 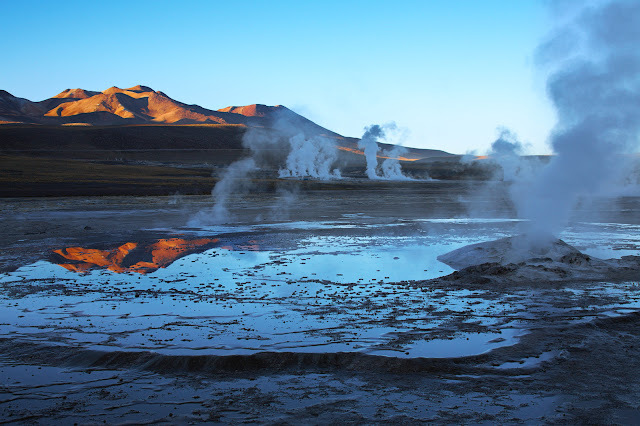 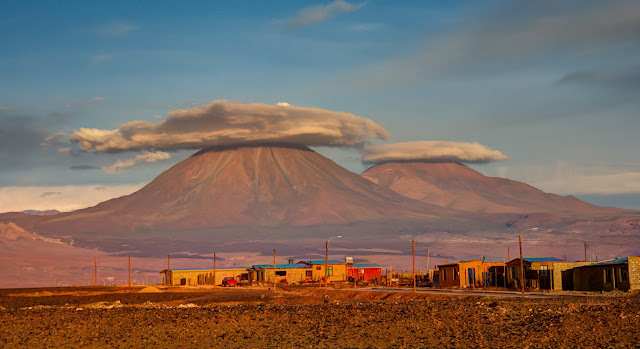 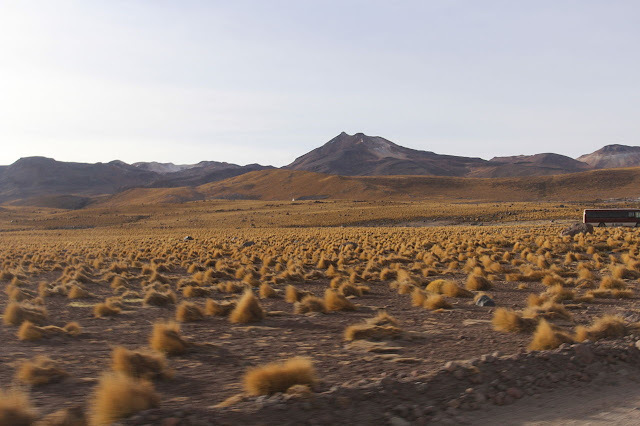 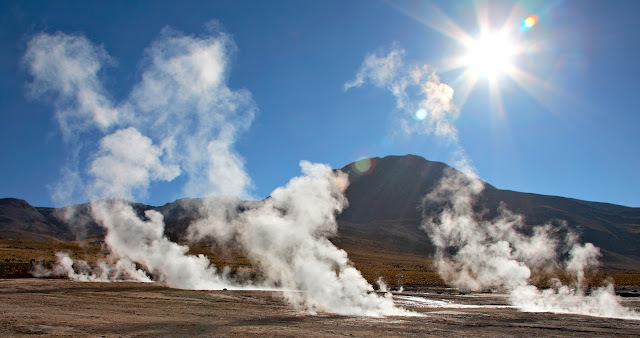 This part has historically been populated by the Aymara culture and ancient civilization, who have managed to preserve the secrets and legends of its land, and which have just recently been revealed. 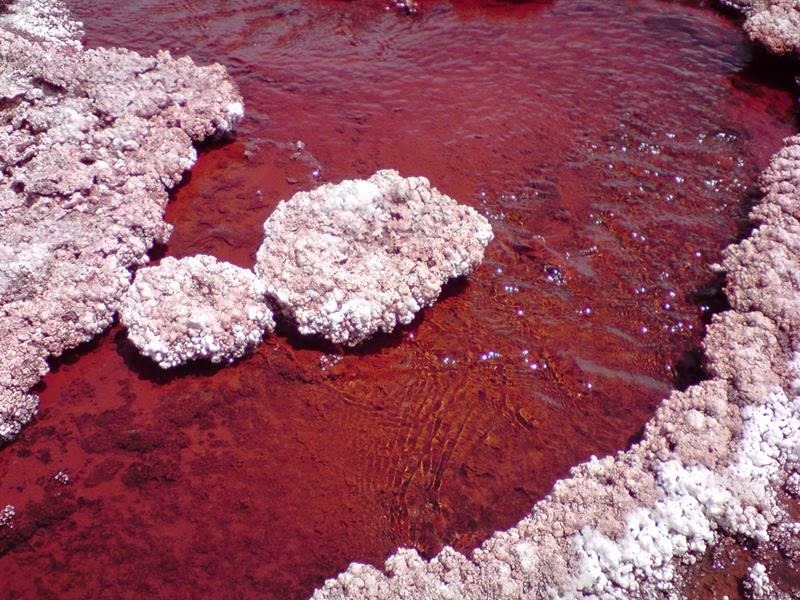 The mysterious curses that have been associated with Egyptian tombs, actually red pool is possesses by a curse that affects those who approach its red waters. 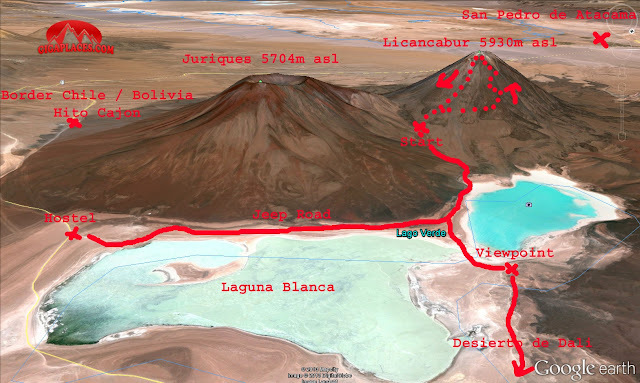 That's the reason nobody knows where it is precisely and it does not appear on maps. 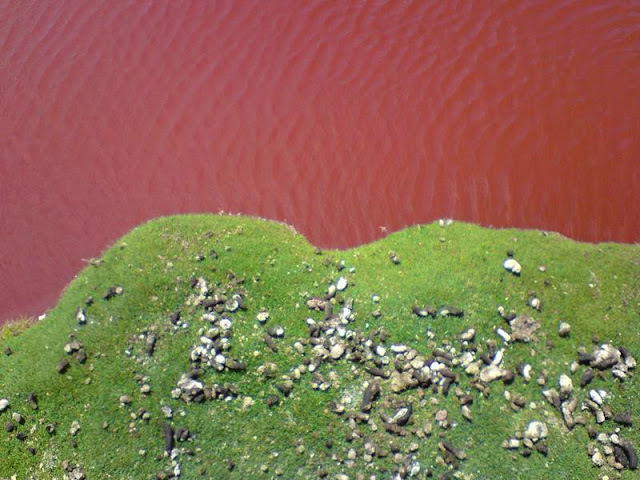 The disappearance of thousands of Aymaras is also attributed to this lake because they drank from its waters. 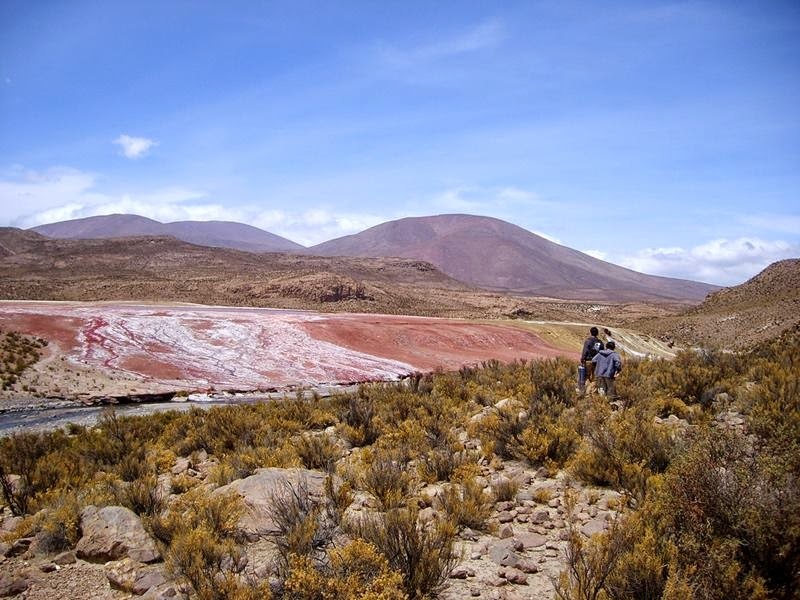 The beautiful red lagoon is surrounded by two other pools of yellow and green water, and they are believed to bubble when surrounded by unfriendly people. 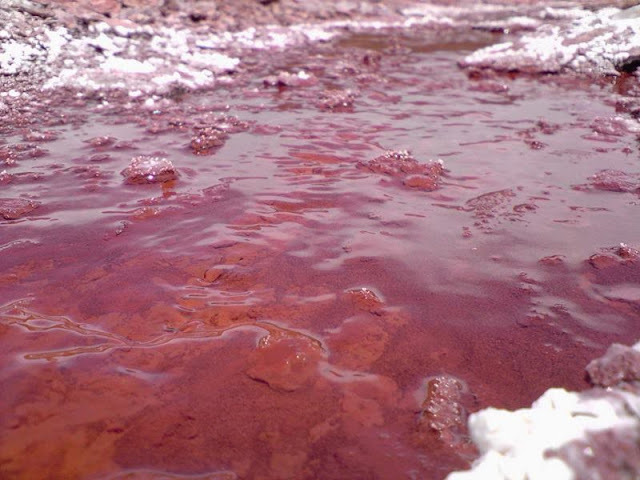 Thus, it is so common belief that these accumulations of colored water are owned by the devil himself. 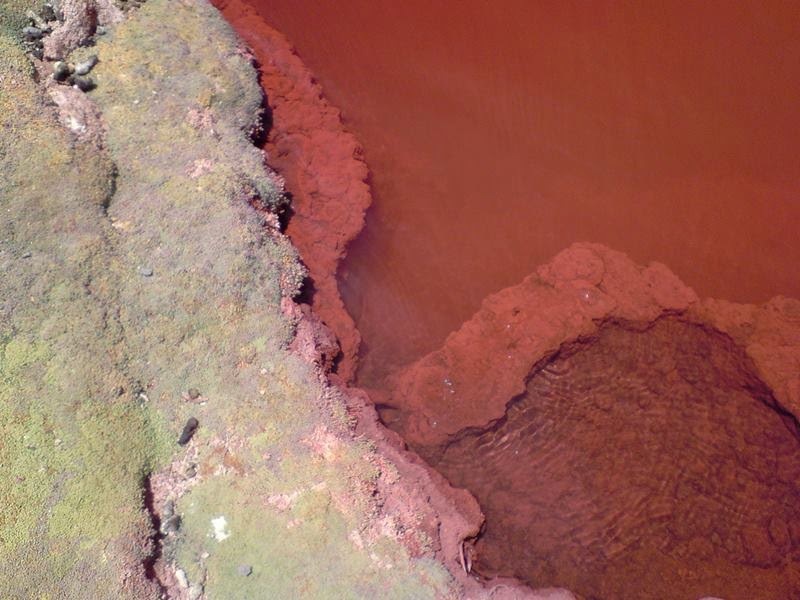 According to a few specialists the color is due to different species of algae living in its depths. So far various studies have been conducted in this place by expert biologists assuring that the color is due to different species of algae living in its depths, but the mystery still remains, stalking the least intrepid. 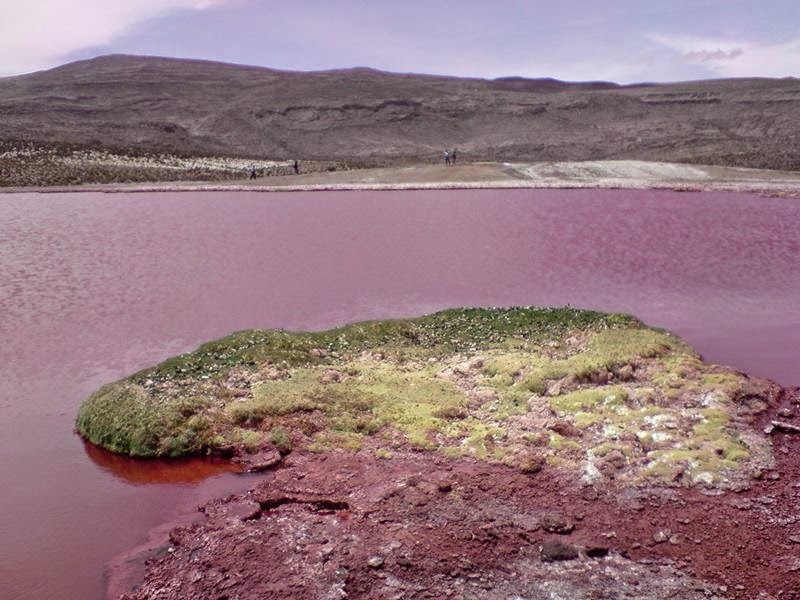 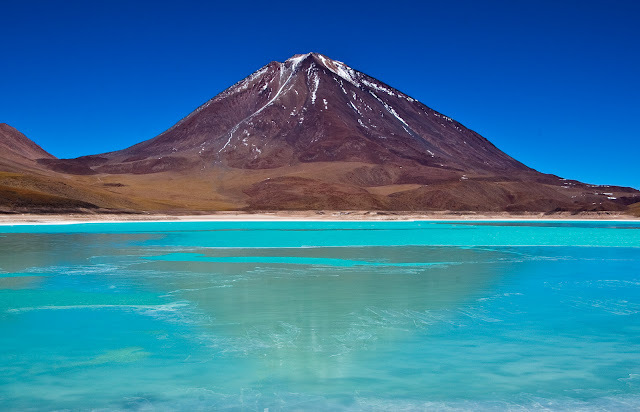 The Red Lagoon has long been one of Chile’s best kept secrets. The local town has plans to set up guided tours and wants charge entrance fees. 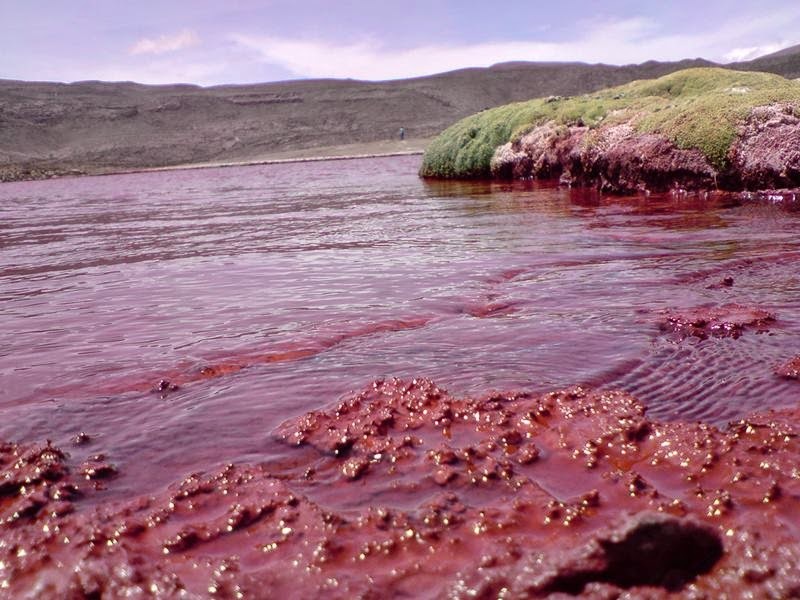 No doubt tourists will be eager to experience the mysteries of the lagoon for themselves. 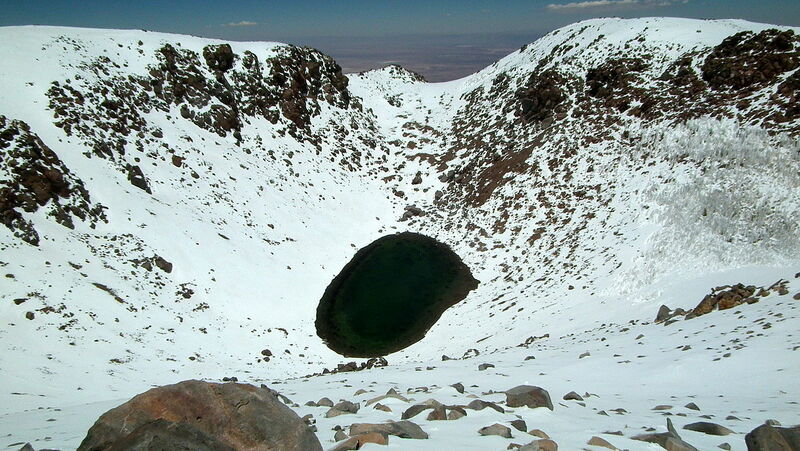 However, it’d indeed take a brave soul to go into for a swim. 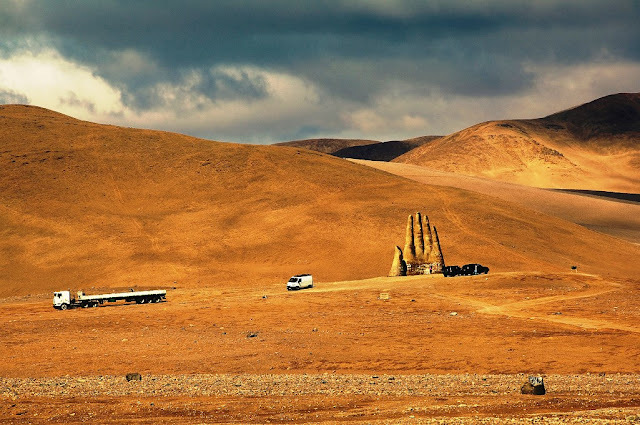 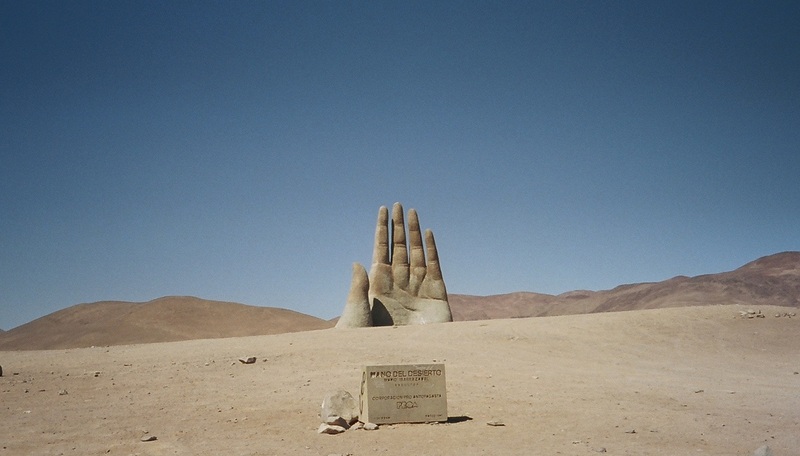 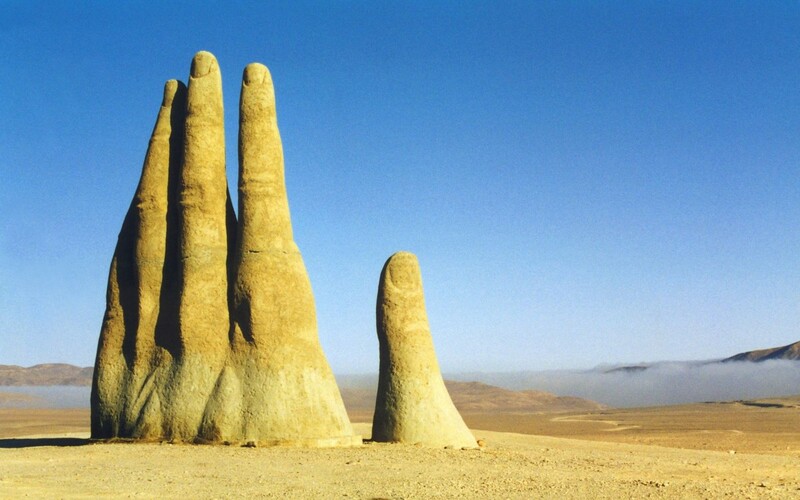 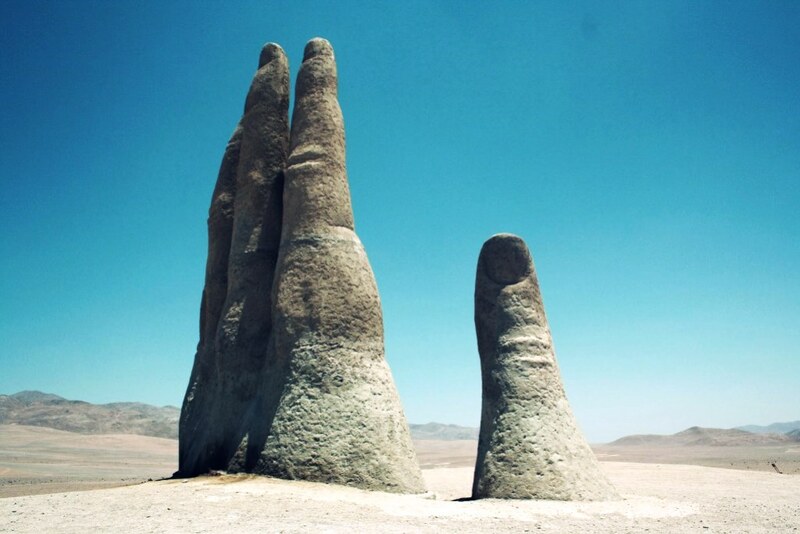 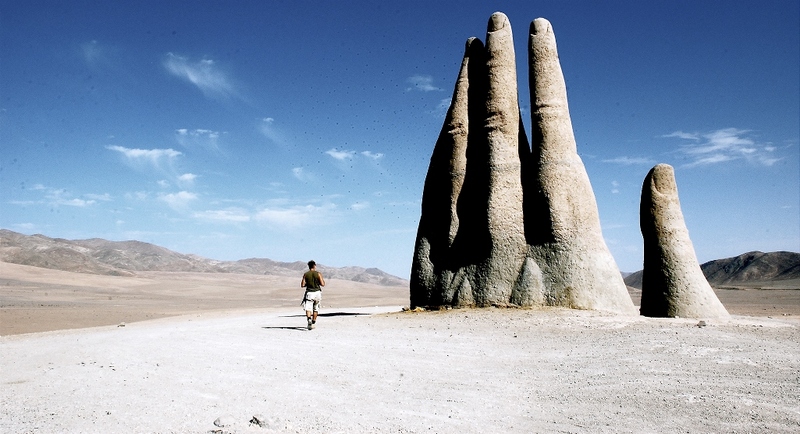 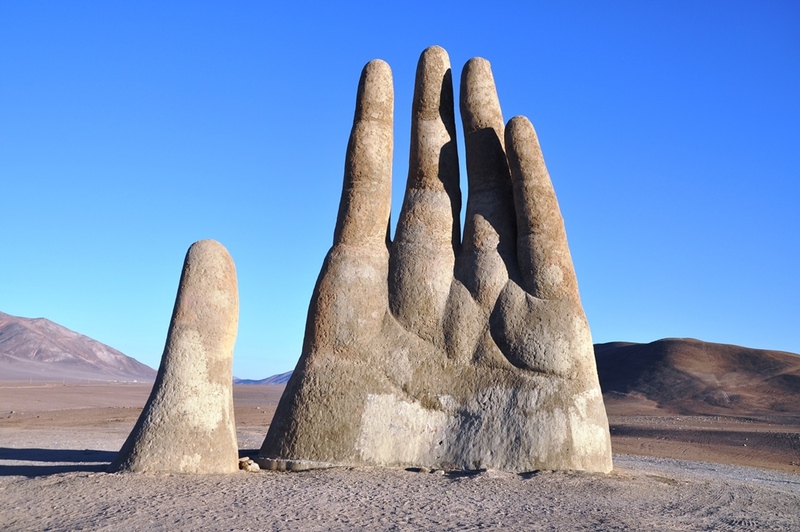 Somewhere in the Atacama Desert of Chile lies an astonishing monument “Mano del Desierto”, or the Hand of the Desert. In first look, it seems to be a science-fiction item, but actually it is a 36 feet high sculpture. However “Mano del Desierto” is a symbol of the contrasting ideas which shows how small, helpless and stranded humans are. 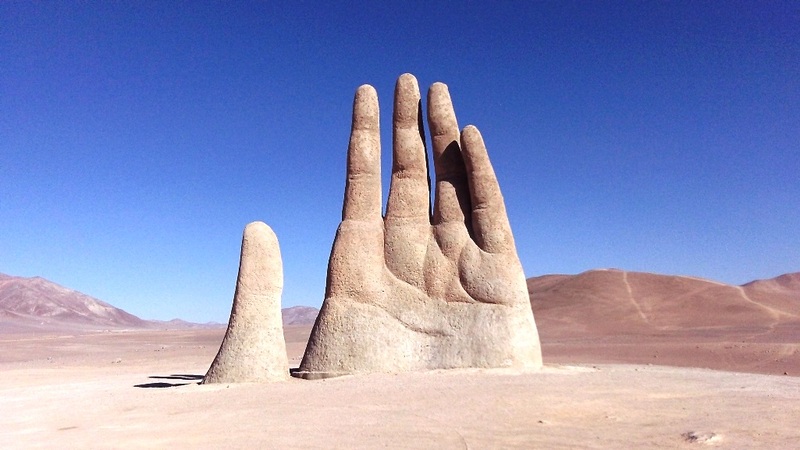 The Chilean Artist Mario Irarrazabal has created this massive hand sculpture popular in his domain of sculpting hand made things. In fact weird as they may seem, and his efforts are acclaimed all over the world due to their innovative and emotion they express. 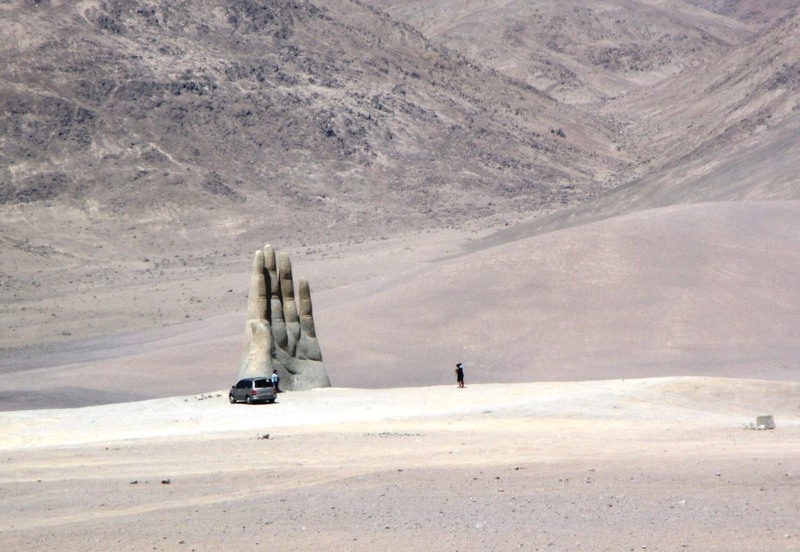 The nearest town from this monument is Antofagasta around 75KM away. 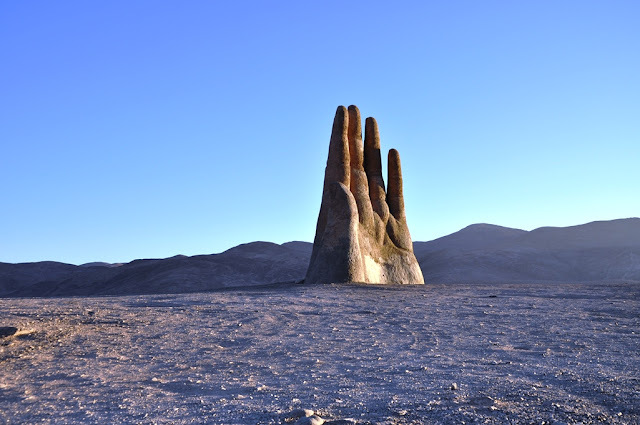 Nonetheless, visitors are crazy to see this marvelous effort of Mario Irarrazabal, and have catches surprise popularity throughout the year. Irarrázabal used the human figure to express emotions like injustice, loneliness, sorrow and torture and it is an easy victim of graffiti and is therefore cleaned occasionally. However, it was built around nearly 25 years ago in March 28, 1992, seems just as if it was made of sand the sculpture is very resistant. The local organization “Corporaction Pro Antofagasta” support in construction of Hand, made by iron and cement. 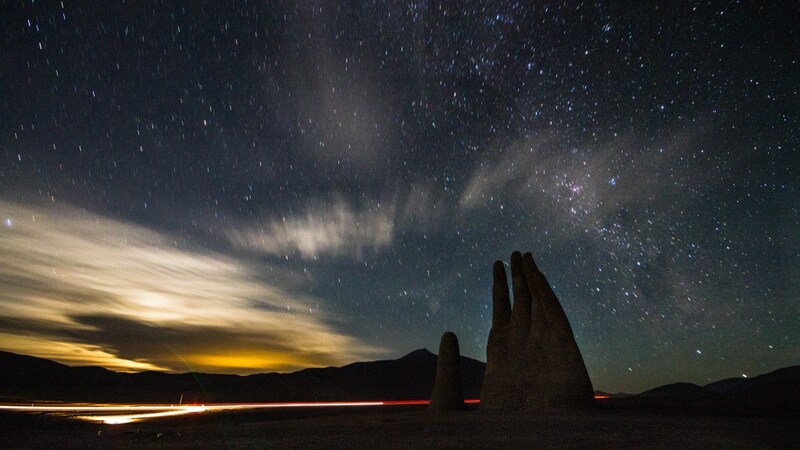 It’s a must visit place can be visited any time of year. 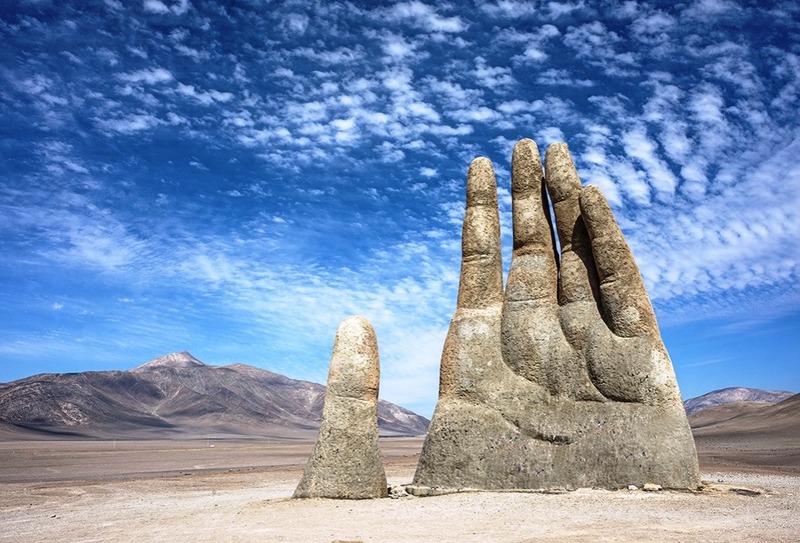 His another popular works include an over-sized sculpture exploring the same idea, named "Monument to the Drowned" is located on Parada 4 at Brava Beach in Punta del Este, a famous resort town in Uruguay.